The original, the Best & 100% American Made. We invented the Impact Label ... Accept no substitutes. 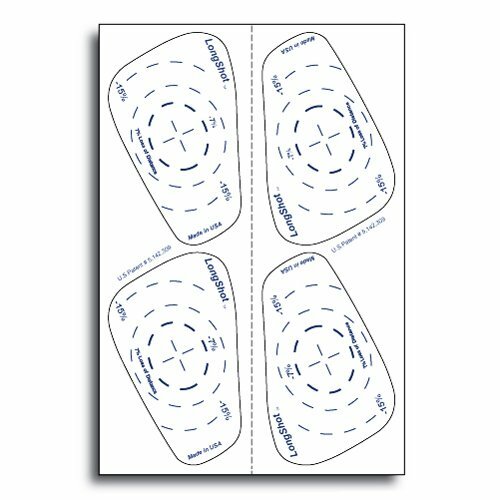 This 50 sheet bulk pack (350 actual labels) cuts your cost of use with Factory Direct pricing. This is one of many styles we offer through Amazon. The LongShot Impact Recorder has become the most widely used practice, teaching and club fitting tool in the world. No other product does more to improve your game at any price. Each pack includes a copy of our LongShot Correction/Instruction Guide and a protective storage box. Note: putter label marks are smaller and develop more slowly due to light impacts. "Practice Makes Perfect Unless You're Practicing Wrong"